Another chilled out quiet week. Day 316 – A quiet Sunday at home today. 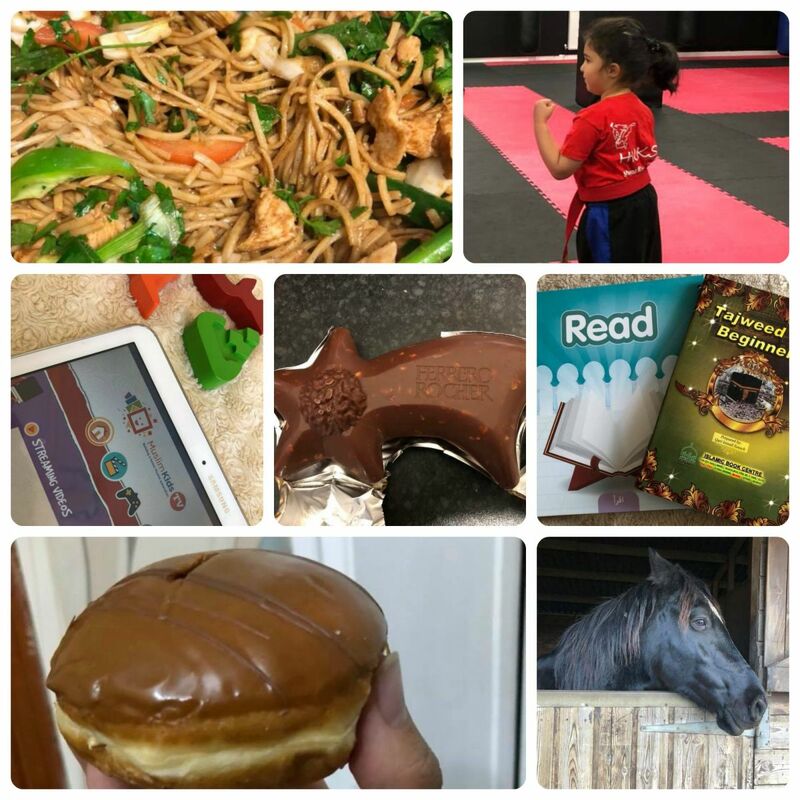 Popped to the shops in the morning as the eldest needed some folders and then hubby cooked chicken noodles, while the eldest got on with some homework and the youngest did some games and helped review a Usborne Jigsaw Puzzle Book. Day 317 – School and then karate in the evening for Bee. Wanted to take some pictures of Bee for her to take to school to discuss as a ‘Newsflash’ and sensei kindly let us take some before the class started. Day 318 – Went to a governors meeting in the morning where they were discussing policies. I was just there to observe to get an idea of how things work. Day 319 – Tried to get on with some blogging stuff. Have a review that needs to be done and I keep getting distracted by other things! Hopefully it will get done next week! Day 320 – Another day of trying to get blogging done but didn’t get very far apart from munching away on chocolate. Then in the afternoon had to go to Bee’s school for a writing workshop. Day 321 -Was determined to get my review blog post done today but got a call from mum at 11am that dad still hadn’t got out of bed and she needed to give him his meds. The illness is making him a bit down. So went round, got him up and fed and took him to the local garden centre for a wander around. He tends to listen to me more than mum but since Bee has started at school I haven’t been spending as much time there but usually pop round for an hour after school.Today I also found myself a tutor who can help me recite the Quran correctly. I haven’t been doing it right. I did start lessons last year but then dad was in and out of hospital alot so I ended up quitting. Hopefully I can stick to it this time. Day 322 – Not much happening today either, chilled at home while girls at school and then after school popped into town to get the eldest a new coat and some new clothes…I hate going at weekends so generally try to go in the evenings when it’s late night shopping…although now in the run up to Christmas it is getting busier! Day 323 – Bee at mosque in the morning and eldest at horse riding. So I spent 3 hours at home doing absolutely nothing and watching some TV. Went to the stables to collect the eldest and said hello to all the horses…they seem to like to try to eat my jacket…I think they were looking for polos as I have given them some before! Then the afternoon was just spent relaxing at home. Those chicken noodles look so good! Bee looks such an expert at Karate! Love the photo of Bee at karate. She looks so strong! I like the idea of shopping in the evening. I think I need to do that! I have no idea how I’m going to fit Christmas shopping into my life. Hope you managed to get your review done in the end. Love the pic of Bee at karate. Easy to get distracted, nothing worse than having stuff you cant be bothered doing. Relaxing at home is good and needed at some stage. I love chicken noodles. One of my favorite, especially at winter time! Hope your dad is not too weak and will get better.